Manufacturer of a wide range of products which include poly bags for packaging. We offer Poly Bags for Packaging to our clients. In order to manufacture the entire range, we make use of high grade raw material and sophisticated technology. Our offered product follows the set industry norms and is highly appreciated for their remarkable quality. Available in varied specifications, clients can avail the offered products from us at market leading prices. These Bags are printed with different logos, company information or to support a cause with the specific message. 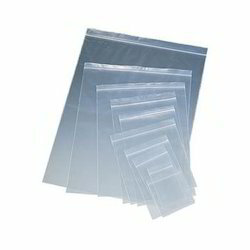 Looking for Poly Bags for Packaging ?